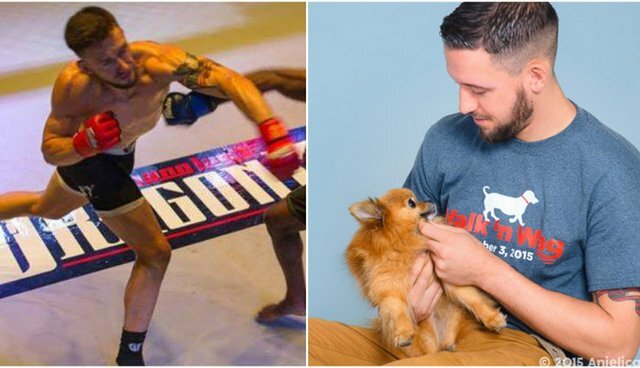 Mixed martial arts may not seem like it has anything to do with rescuing dogs, but for shelter worker Josh San Diego, the two go hand-in-hand. The 30-year-old facilities assistant at the Humane Society of Silicon Valley (HSSV) is also a professional MMA fighter - he spends his days caring for rescue animals and his nights wrestling other fighters to the ground in intense, high-octane fights. Surprisingly, San Diego says that working at a shelter and being an MMA fighter aren't as different as they seem. 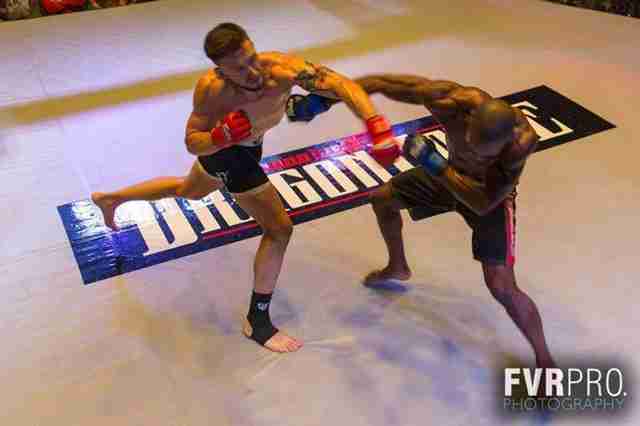 "A lot of people who do fighting do it because they love martial arts, you have to love it," San Diego told The Dodo. "If you're gonna work at the shelter with animals and clean up their messes, you have to love animals." And San Diego also met a special someone through his job at HSSV - his adorable, tiny dog, Bella. "When I saw Bella i just thought she was the cutest little dog," San Diego said. He would go check on her twice a day, until another shelter employee suggested he try spending some quality time with her. He fell instantly in love. "I met her, and I was like, oh I have to adopt this dog," San Diego said. Most of his buddies through MMA fighting have bigger dogs, so, "I kind of get made fun of for having a smaller, petite little dog," San Diego said, laughing. San Diego's story proves that there are no rules about the "types" of people who work in shelters. And even the strongest, toughest guys can fall for the tiniest, fluffiest rescue pups.